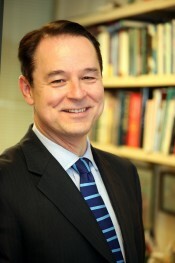 David Boaz is the executive vice president of the Cato Institute and has played a key role in the development of the Cato Institute and the libertarian movement. He is the author of The Libertarian Mind: A Manifesto for Freedom and the editor of The Libertarian Reader. He is a provocative commentator and a leading authority on domestic issues such as education choice, drug legalization, the growth of government, and the rise of libertarianism. Boaz is the former editor of New Guard magazine and was executive director of the Council for a Competitive Economy prior to joining Cato in 1981. 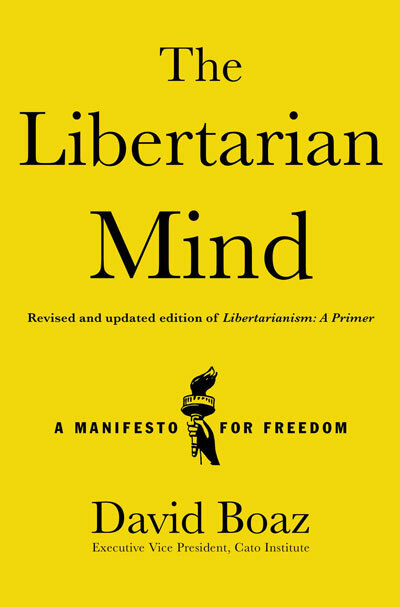 The earlier edition of The Libertarian Mind, titled Libertarianism: A Primer, was described by the Los Angeles Times as “a well-researched manifesto of libertarian ideas.” His other books include The Politics of Freedom and the Cato Handbook for Policymakers. His articles have been published in the Wall Street Journal, the New York Times, the Washington Post, the Los Angeles Times, National Review, and Slate, and he wrote the entry on libertarianism at the Encyclopedia Britannica. He is a frequent guest on national television and radio shows, and has appeared on ABC’s Politically Incorrect with Bill Maher, CNN’s Crossfire, NPR’s Talk of the Nation and All Things Considered, The McLaughlin Group, Stossel, The Independents, Fox News Channel, BBC, Voice of America, Radio Free Europe, and other media.